I don’t know about you but my hands get extremely dry at this time of year. I always joke that my hands look like an old lady’s hands but it really is true. They look like they belong to someone much older than 31 and I hate it. Not only do they not look very nice, but it’s also uncomfortable. My hands feel tight and painful when the skin cracks, and this continues all through winter. I’m really fussy when it comes to hand creams, the scent has to be right and it needs to sink into the skin quickly and not leave a greasy feel. It’s actually a lot harder than you would think to find a hand cream that ticks all the boxes. Green People is a brand that I’ve loved for a long time, their products are organic and are always kind to sensitive skin. When they got in touch to see if I would like to take part in their winter skin care challenge I of course said yes! The idea of the winter skin care challenge is simple, I was gifted a manuka & lemon tea tree hand wash along with two manuka & lemon tea tree hand creams (one for home and one for out and about). I got straight into using the products in the hope that they would nourish my poor hands and bring them back to life. The Green People manuka & lemon tea tree hand wash is 100% certified organic and made with 80% certified organic ingredients. It kills harmful bacteria quickly thanks to powerful extracts from the Australian Tea Tree and New Zealand Manuka. It’s scent of lemon, tea tree and sweet orange is amazing and very refreshing. This is also available in a scent free variety for those with allergies and sensitivities. 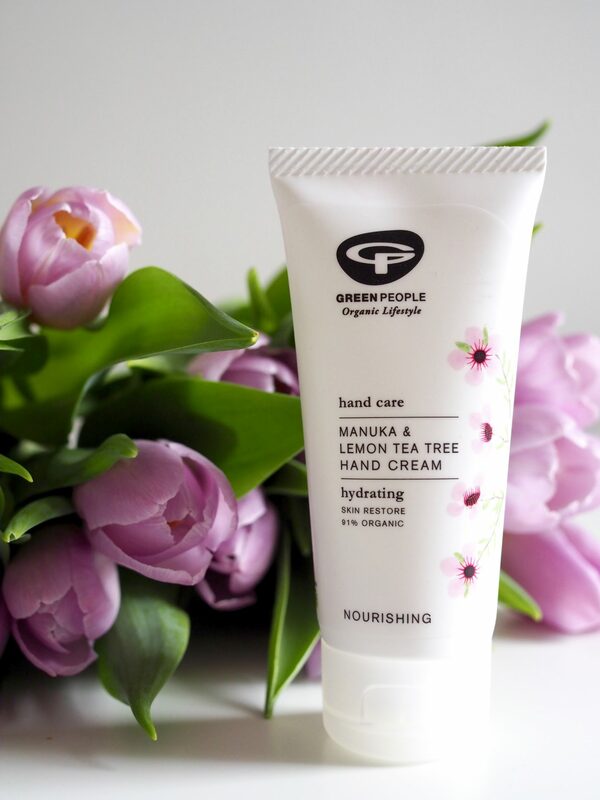 Green People’s manuka & lemon tea tree hand cream not only smells divine, but it also leaves my hands feeling super soft and nourished. As I mentioned earlier I don’t like hand creams that leave your hands feeling greasy and this one definitely doesn’t thanks to it’s non-greasy, lightweight formula. 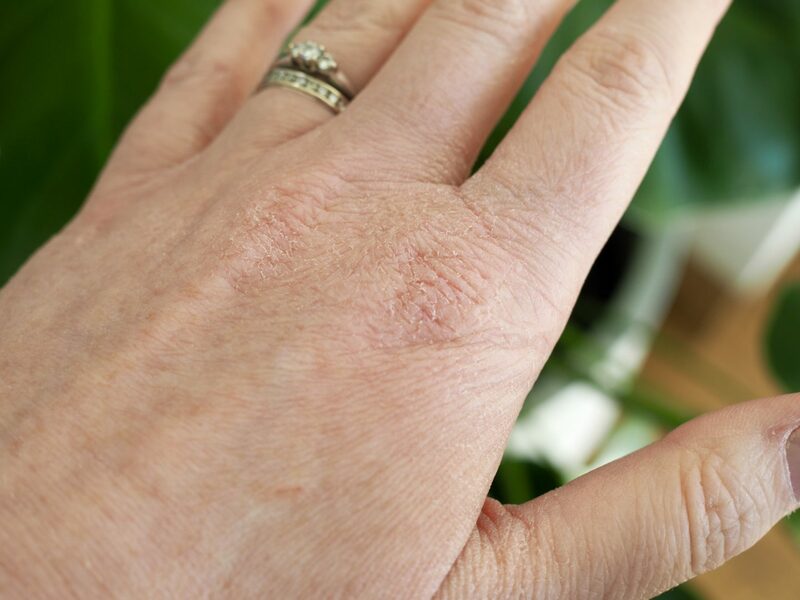 Tea tree helps to soothe cracked skin and the sweet orange acts as an antiseptic and anti-inflammatory, helping to restore dry and cracked hands. 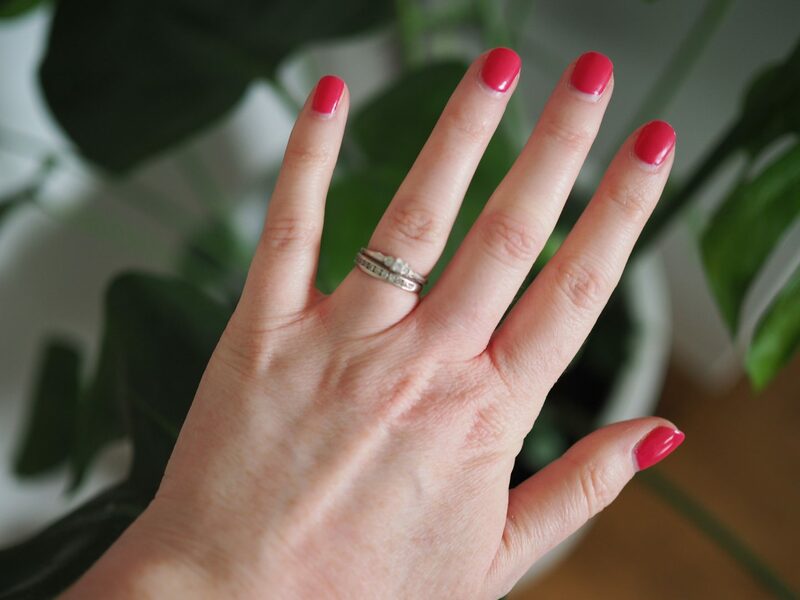 And here is what my hands look like now, after using the products for almost two weeks. So much better, don’t you think? I am over the moon with how much better my hands are looking and feeling in just under two weeks. The hand wash and hand cream have proved to be the perfect combination at killing bacteria and restoring my dry hands. I will definitely continue to use these products, my hands have never felt to soft and nourished! 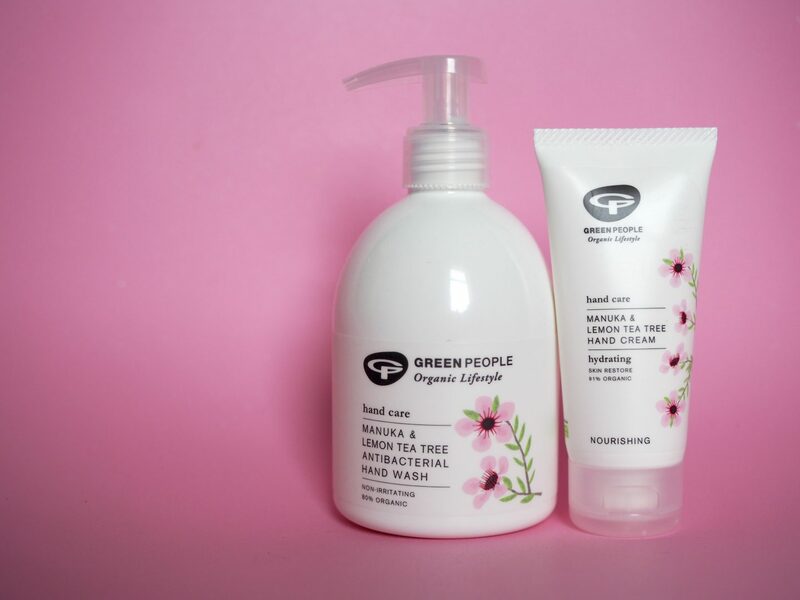 To be in with a chance of winning a Green People manuka & lemon tea tree hand wash and hand cream set, simply enter via the Rafflecopter form below. UK residents only please. The competition will close at midnight on Sunday 17th March. The winner will then be contacted via email. Please respond with your address details within 30 days, or a new winner will be drawn. 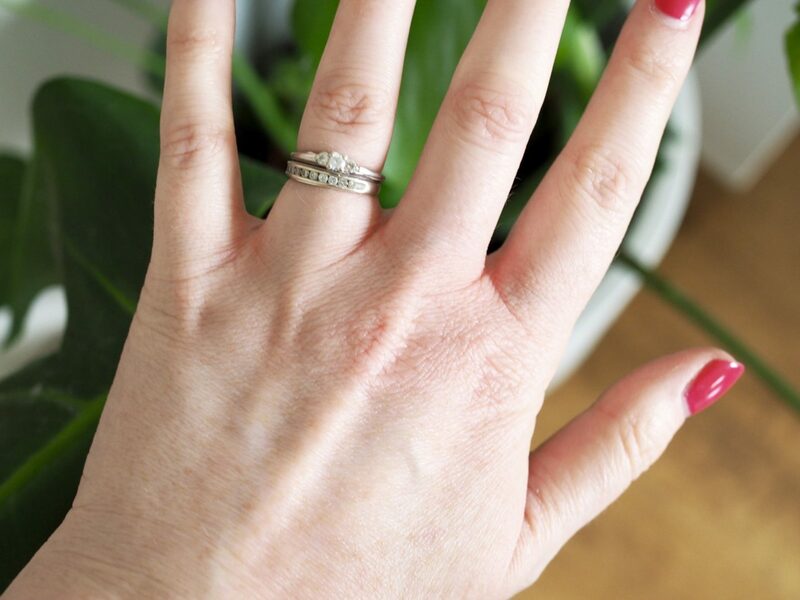 Fabulous results , I’ve alwasy suffered with very dry hands resulting in hands that look a lot older than they are. Wow…you can really see the difference! As a nurse, my hands get really dry after continuous hand-washing throughout the day. I try my best to keep applying hand cream throughout the day but it’s not very long before you have to wash them again! So I try to do an intensive treatment when I’m asleep and hope for the best! These products sound amazing. I suffer from dry skin, this product looks great! These look lovely, thank you so much for running this competition. I get rough hands from gardening so this prize would be fab. This would be lovely, fingers crossed. Would love to try these hand creams. Fab prize would help my dry skin so much. My hands are really dry especially at the moment. The results looks great. Thanks for the lovely review and giveaway. Green People hand wash and hand cream duo looks great!! Looks amazing, would love to win this to treat my mum! This looks gorgeous, I would love to try this on my hands. I would love some fabulous hand cream, it sounds fabulous! At last, a hand cream that improves ageing hands, just what I need! I’d love to use this brand since they do not test on animals and their products do not contain harsh chemicals. It is certainly important to look after your hands so I an always using hand-cream and would enjoy using these products. I love Green People products. There is definitely a noticeable difference in your hands in the after photo. Fab results the product looks great. This would be great for my dry skin. Oh I would love to try these! I have used their children’s products on my kids before, very good. With the amount of products we use day to day its bound to have an effect on our skin. 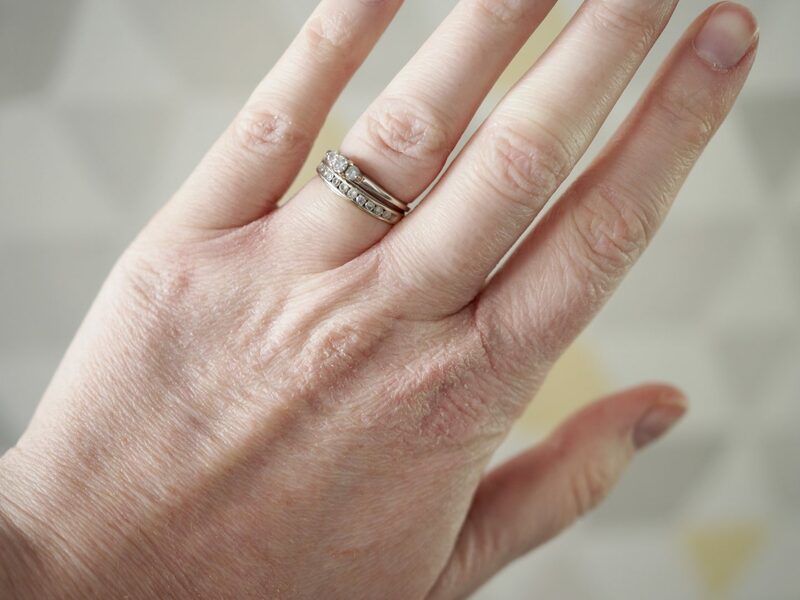 I suffer with dry hands too, I didn’t realise talking to my brother the other week that he suffers aswell, bizarrely our right hands our worse than the left and I’m left handed!! These look lovely! Would love to win! Green People’s products are always superb quality, contain no nasty chemicals and are organic and cruelty free. I bet these smell wonderful. Never had green people’s items wouldn’t mind trying. They sound like fantastic products. I’d love to be your lucky winner! I’d love to try this, I’m a sufferer of dyshidrotic eczema and my hands are currently in such a sore mess! My hands are always dry so I’d definitely love to try this duo! Perfect for my work worn hands. This looks really good, thanks for the chance to win.